At Focal Pointe Eye Care, we want you and your family to see well for a lifetime. Located in West Chester, Ohio we have been providing exceptional eye care and eyewear to families from Dayton to Cincinnati and all around Southwestern Ohio since 2008. Patients often come to us for help with many of the following conditions: chronic dry eye, low vision, glaucoma, have been told they are 'hard to fit' for contact lenses, cataracts, macular degeneration and more. Patients who wear prescription glasses also choose us for our unique collection of quality eyewear, the kind you won't find everywhere. Contact us today to schedule an appointment and experience the Focal Pointe difference. 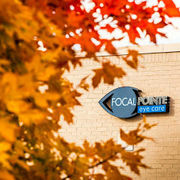 Rate and review Focal Pointe Eye Care Inc in West Chester, OH, United States! Share your experiences at Focal Pointe Eye Care Inc with your friends or discover more Optometrists in West Chester, OH, United States.